We cannot guarantee early check-ins, though if your room is ready when you arrive we will gladly check you in. Please call the front desk the day of your reservation to inquire about early check-ins. Late check-outs are allowed per availability. Please stop by the front desk the morning of your departure to inquire about late check-outs. Guarenteed cancellation policies vary on every booking from a 4pm cancellation policy to a non-canceleable non-refundable reservation policy. Is smoking allowed in your hotel? Our hotel is a 100% smoke-free environment. We do have designated smoking areas, 10 feet from any exit. Complimentary Wi-Fi is available throughout the entire building. What comes included in my reservation? As a guest of Comfort Suites, you will have access to our 24/7 fitness center, business center, and up to pool passes for the max occupance of your guest room. We also encourage you to enjoy our complimentary breakfast from 6:30-9:30 AM during the week, and 7:00-10:00 AM on Saturday on Sunday. Our breakfast will include fresh eggs and breakfast meat, a variety of pastry items made fresh in our bakery, a waffle station, and during the week we’ll have a chef preparing made-to-order omelets. Is your Splash water area suitable for all ages? Our Splash water attraction provides fun for the whole family. It includes a kiddie swimming area with a small water slide and jungle gym, a deeper pool for the adults with a built in basketball hoop, a whirlpool hot tub, and a larger water slide. 1951 West is a casual American dining restaurant connected to the hotel. It’s open for lunch and dinner Monday-Saturday and open for a brunch buffet and dinner on Sunday. Call the front desk to learn about our daily specials. We do offer a complimentary shuttle to our guests, to and from the airport. Please call the front desk to make any arrangements. We have over 20,000 sq. ft of banquet and conference space that can accommodate any event you chose to host. We have a variety of meeting halls and banquet spaces to allow for a variety of events. Please call the sales and catering team to learn more about booking your next event. Do you have cribs and portable beds available? We do have a number of cribs available upon request. We do not have any rollaway beds but each room does come with a sleeper sofa. We accept American Express, Diners Club, Discover Card, MasterCard, and Visa. We do accept debit cards; however, payment will be taken at check-in as opposed to check-out if paying with cash or a credit card. We do have an ATM with a fee for each transaction. Are there any guest laundry services? We do offer a washer and dryer onsite for our guests to use. We also offer dry cleaning services, please call the front desk to make any arrangements. Do you offer any sort of loyalty program? 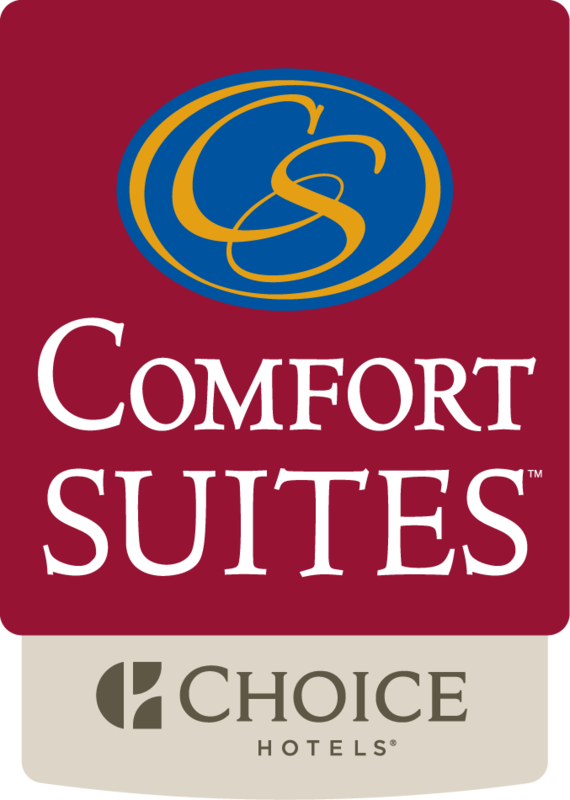 Our Comfort Suites hotel is a part of the Choice Hotels brand. By becoming a Choice Privelages member, you may earn points for your stay at more than 5,500 participating locations. With these points you may enter in special promotions and may even earn a free stay.